If you have any questions and want to meet, we look forward to helping you out! Call us to book an appointment or get in touch with your Collin Bruce Mortgage Team member. I have been a mortgage broker since 2005, and I am the broker of record for Dominion Lending Centres Mortgage Mentors. I am Dominion Lending Centres’ #1 mortgage broker in Canada from 2010 thru 2018. As well I won CMP’s prestigious Canada’s mortgage broker and Canada’s mortgage Brokerage of the year for 2015 and Canada’s Mortgage broker of the year for 2016, and Canada’s mortgage best use of mobile technology in 2017. Just about 50% of the mortgage we do come from past clients or referrals, and this is the biggest compliment I can get. I completely understand how confusing and overwhelming the mortgage process can be, so you can never ask me too many questions! I have been in the mortgage industry for 10 years now. Throughout my career, one thing has remained consistent: striving to provide great customer service to all. From saving someone thousands of dollars on a refinance to getting a person into their first home, I take great pleasure in helping people achieve their dreams. I graduated from the University of Lethbridge with a Bachelor of Management Degree in 2004. I have been working in the finance industry specifically dealing with mortgages ever since. I spent 3 years at a bank and then proceeded to become an independent mortgage broker in 2007. I have been working with Collin for the past 10 years and am happy to have recently joined his team. I love this job because I enjoy meeting new people every day and helping them achieve their goal of homeownership! I have been working with the Collin Bruce Mortgage Team since 2006. With over 13 years of customer service experience, you can be assured that looking after your best interests is always my number-one priority. I will be with you from your pre-approval all the way up to your mortgage renewal. I have been a licensed mortgage associate for five years and I joined the Collin Bruce Mortgage team in 2012. I truly enjoy working with clients to help them achieve their goals and guide them through the mortgage process. I look forward to helping you with your mortgage needs! After spending over 20 years in customer service, I became an independent licensed mortgage associate. In 2012 I joined the Collin Bruce Team, and my passion for finance, real estate, and people has made this a dream job for me. I look forward to working with you! I have over 10 years’ experience in the customer service industry, and in 2007 I took a position in finance. In 2009 I became a licensed mortgage associate. I’m passionate about my job because it allows me to help people improve their financial situation or purchase their first home. I have been in the mortgage industry for the past 10 years and joined the Collin Bruce Mortgage Team in 2013. I have gained a strong understanding of all aspects of the mortgage industry, which has given me the knowledge and skill required to ensure quick turnaround on mortgage applications. Through 10+ years’ of customer service experience, I have found passion in providing clients with a timely, accurate, and friendly experiences. I have recently joined the Collin Bruce Mortgage team, following 5 years of management service with a prominent Alberta Health & Dental benefits carrier, and am looking forward to utilizing my established knowledge/skill set to create memorable and lasting relationships with our current and future clients. 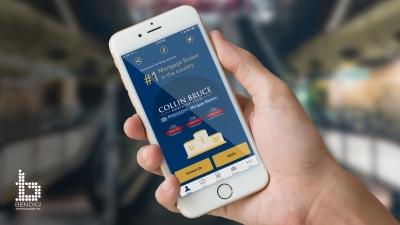 I have been working with the Collin Bruce Mortgage Team for just over a year as the office receptionist/administrative assistant and have genuinely enjoyed interacting with all of our clients and seeing all the great things our team is able to help them with. The mortgage industry was completely new to me before joining Collin’s team but I have been able to see amazing things happen here and I’ve learned so much already. I hope to keep assisting our clients in any way that I can and to help make this a truly enjoyable experience! I have been working in the insurance industry for over 15 years, and strive on building relationships with clients and delivering a positive insurance experience. I joined InsureLine Elite in October 2018, and am excited to grow with such an amazing team. Call me today and we can discuss your insurance needs! As a licensed insurance broker, I have been helping clients with all aspects of their personal and commercial small business needs for over 20 years. I truly believe that the best service we can provide our clients is giving them a clear understanding of the insurance options available to them; and which are best suited to their particular needs. As a member of the Collin Bruce team I look forward to “Simplifying Insurance” for you.